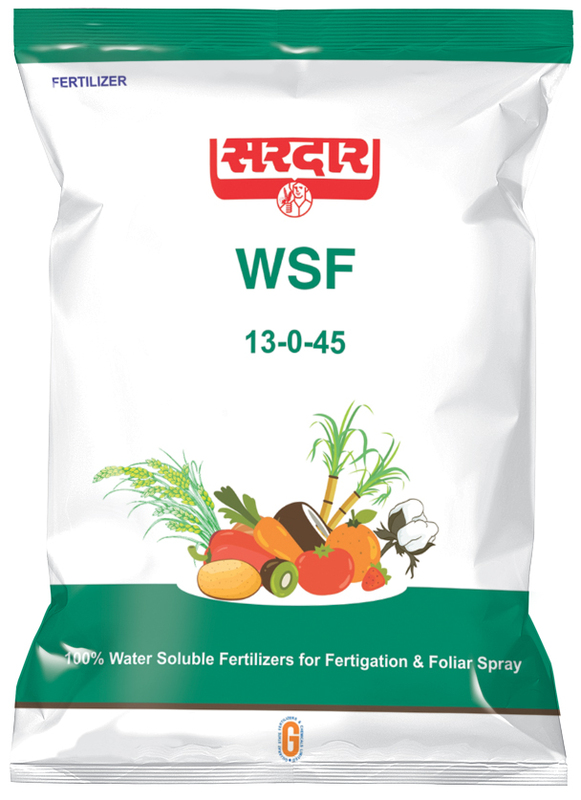 Water soluble fertilizers are fertilizers that can be dissolved in water and added or leached out of the soil easily. 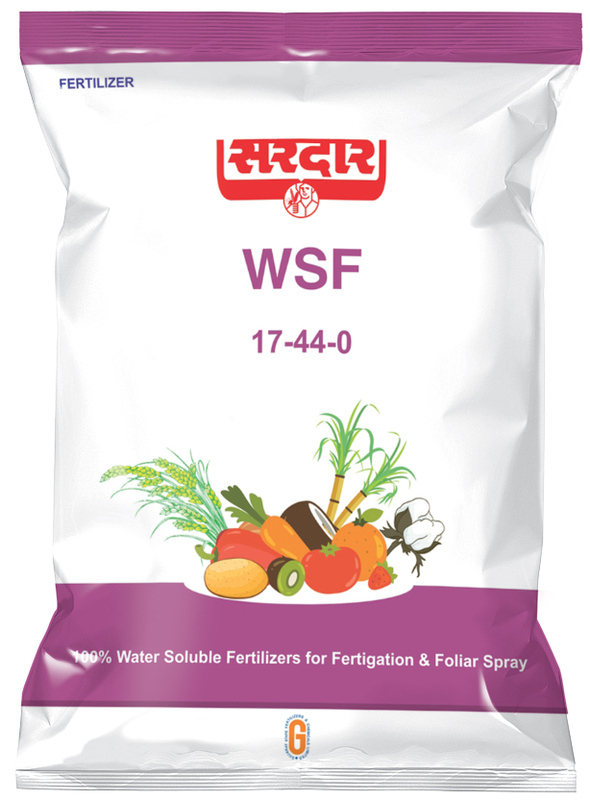 Among the sixteen elements required for the development and growth of any crop, N P K are the major nutrients. 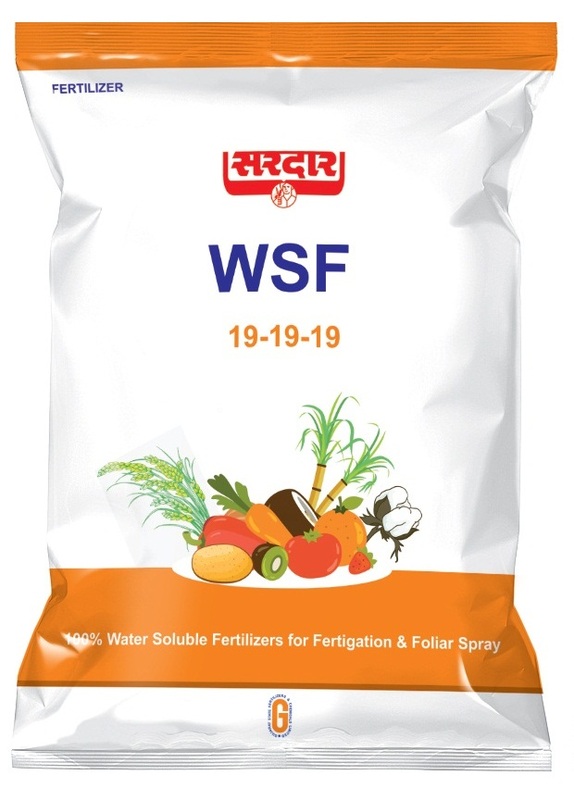 Water Soluble NPK’s are fast acting, highly efficient & extremely useful for increasing the yield and quality of horticultural and all field & cash crops. 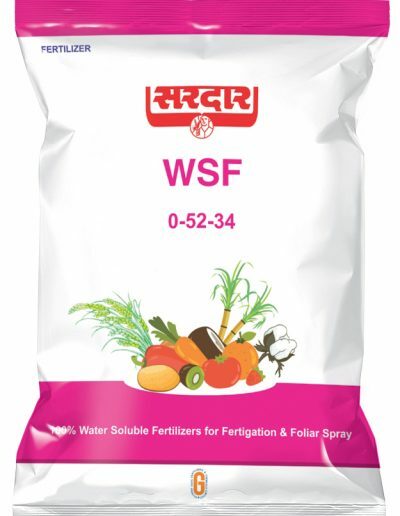 GSFC have following combination of Grades of water soluble fertilizers under the umbrella of “Sardar” brand which is packed in various packs as per the need of the application by farmers. 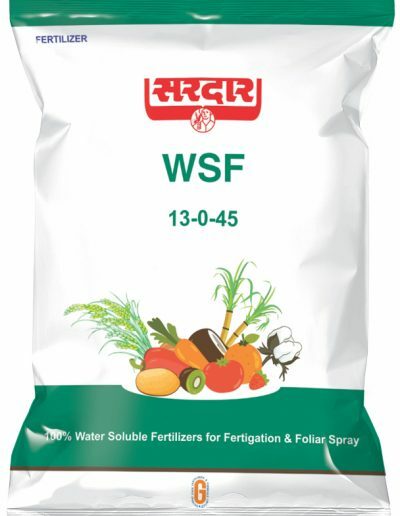 • It helps in maintaining NPK nutrient balance in the plant & makes them easily & speedily available. 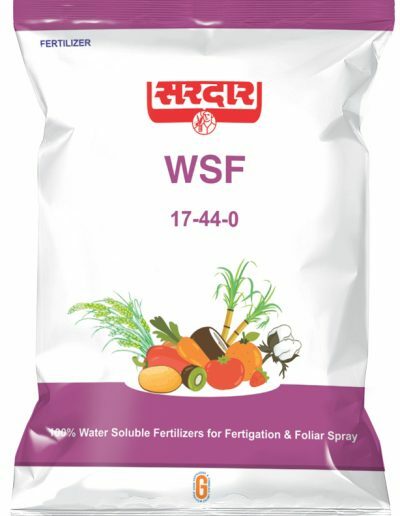 • It is acidic in nature & hence helps in removing salt deposition in the drippers of the system. 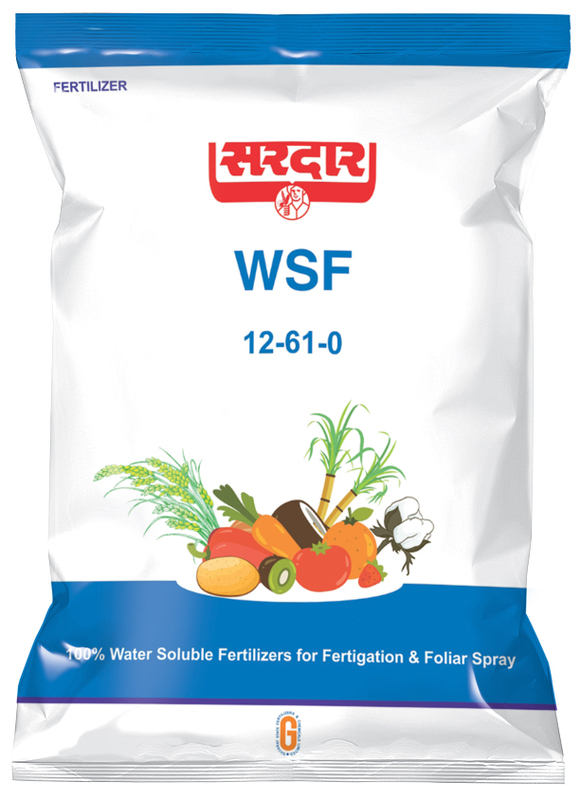 • It can be used with any type of pesticides for foliar spray as well as in Fertigation. 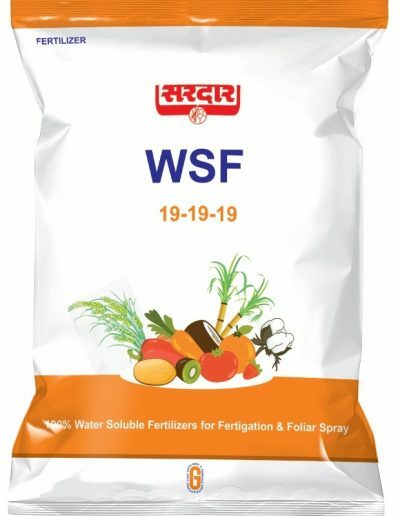 • Crop Recommendation: fruits, flowers, vegetables, cereals, pulses, cotton, cane & tea. It can be applied at any stage of crop. 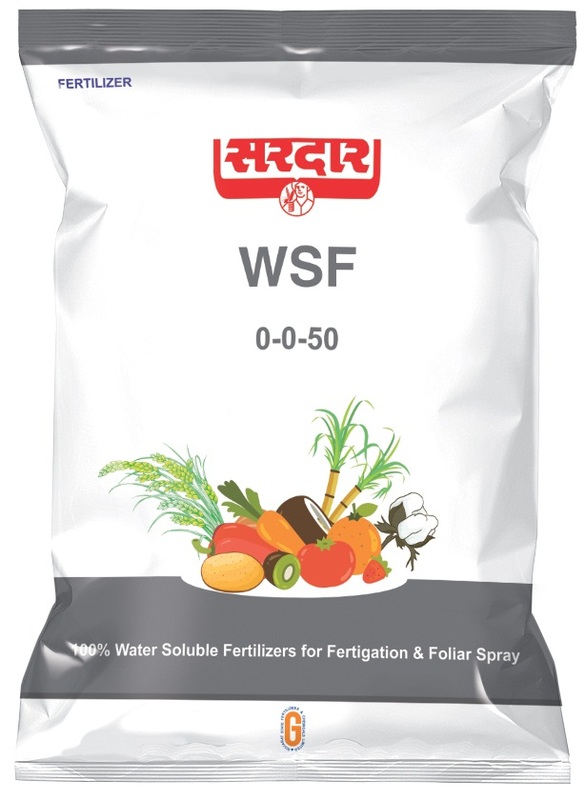 • High acidity helps to create idle pH in the root zone area. 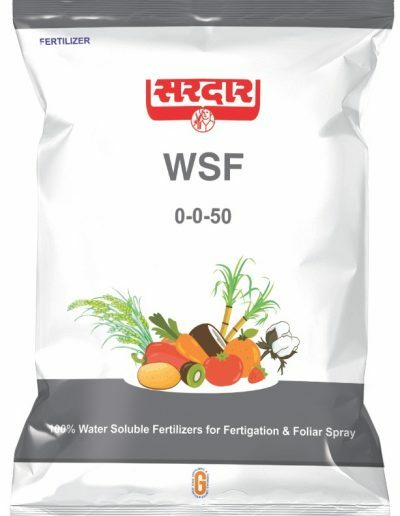 • Improves quality of alkaline irrigation water & helps to un-clog the drippers of Micro Irrigation System. • Recommended Crops: cotton, carrot, potato, onion, garlic, tropical and citrus trees. • Protects dropping of immature and developing fruits under unfavorable condition. • Crop Recommendation: Grapes, Banana, Cotton, Pomegranate, Tomato, Onion, Sugarcane, Ginger, Turmeric, Watermelon. 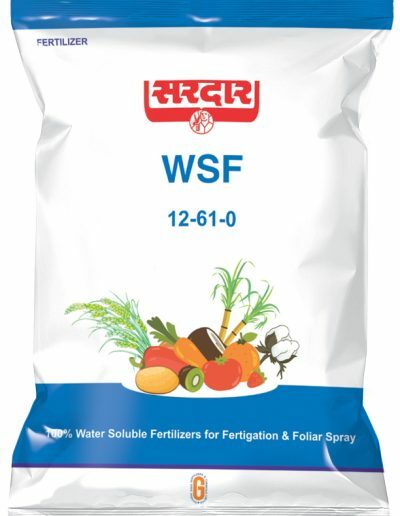 • Recommended for use in alkaline soils for best results. • Crop Recommendation: tobacco, groundnut, potato, onion, tomato, beet, garlic, citrus etc.